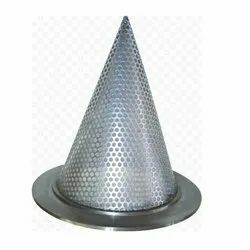 Our product range includes a wide range of heavy duty cone strainers, automatic sea water self cleaning strainer on skid, flat bottom conical strainer, round bottom conical strainer, conical standard strainer and conical strainer. We have gain expertise in manufacturing trading and the wholesaling qualitative gamut of Automatic Sea Water Self Cleaning Strainer on Skid. 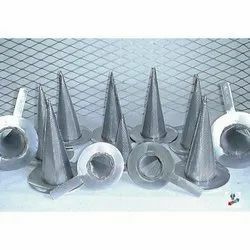 Procuring raw material from trusted suppliers, our team of skilled professionals fabricates these strainers using advanced technology and high-grade tools and equipment. These strainer requires no backwash and comprises indicators showing if the motor running or is off and whether the filter is choked. It also comprises an automatic controller with mortised drain and timer. 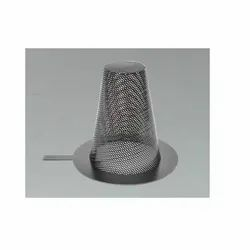 Offered to clients at the finest rate possible, the offered Flat Bottom Conical Strainer is one of the most asked for products in the market. Used for the purpose of temporary straining of start-up applications, it is one of the highly praised in the market. 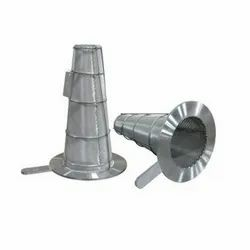 Our company has set benchmark in offering Temporary & Conical Strainer with Round Bottom to the clients. 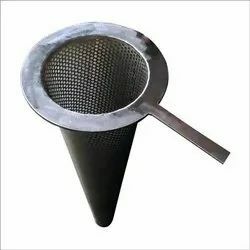 Temporary & Conical Strainer with Round Bottom is manufactured by using best quality raw material and sophisticated technology in synchronization with quality standards. Offered range is available in varied sizes as per the needs and demands of customers. 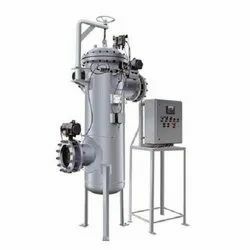 This product is used for start up where moderate filtration is needed and ideally suited for course filtration. Offered range is clearly checked by expert quality controllers on different parameters. Looking for Conical Standard Strainer ?